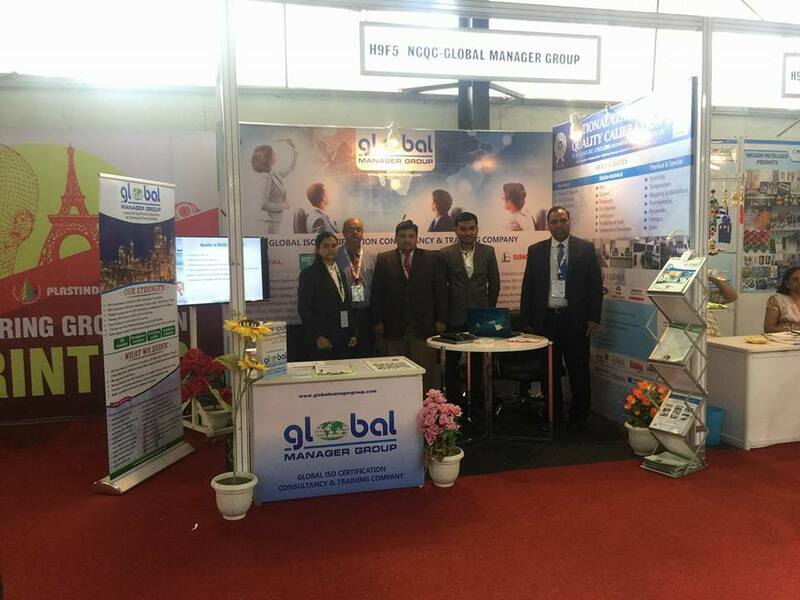 8-Feb 2018 – NCQC – Global Manager Group is taking participate as exhibitor to world’s largest Plastic Industry exhibition, PlastIndia2018. Plast India 2018, world’s third largest plastic industry exhibition starts at Gandhinagar Exhibition Center – India, from 7 to 12 February 2018. Global Manager Group aims to associate with more plastic & packaging industry, which are looking for Quality certification as well as NABL accredited instrument calibration facilities. Mr. Devang Jhaveri, owner of Global Manager Group will be available at Plast India Exhibition at stall no. H9F5 on 9 & 10 February 2018. He will be there to share his experience working with industrial, R & D, Petrochemicals and Refineries as well as Laboratories as an ISO Consultant. The six-day exhibition is going to be world’s third largest exhibition organized till date for Plastic industries. Global Manager Group aims to take participate in this event to offer a floor for all delegates to interact with experts in instrumentation, plastics, petrochemical, and packaging industries. GMG Also provides platform to all exhibitors from plastic manufacturers, instrument manufactures, packaging material manufacturers etc., to get in touch for their instruments calibration requirements by National Centre for Quality Calibration, leading NABL accredited calibration laboratory in India. Global Manager Group has been providing management consultancy services and training since 1991 and has more than 2700 clients in more than 45 countries. The industry leader in ISO consultancy has over 20 years of experience, working with industrial, R & D, and Laboratories as well as management systems consultancy. The company has own Instrument calibration laboratory at Ahmedabad, as name of National Centre for Quality Calibration. The company has international reputation for ISO/IEC 17025 accreditation consultancy. So far the Company has conducted more than 100 courses on ISO internal auditor training and ISO system awareness training. Many laboratories have got ISO/IEC 17025 under his project management in GCC countries including Saudi ARAMCO, Yanbu Refinery, Gulf Laboratory, NAP Laboratory, Riyadh Refinery, Al-Hoti, Q Chem., Geotechnical lab, International Laboratory, aDoha Technical Lab, Qatar Engineering Lab, Qatar Industrial Lab, Jeddah refinery laboratory, technical laboratory etc. GSP Crop Science Private Ltd., one of the leading manufacturer and exporter of pesticide technical as well their formulation including seed treatment chemicals has successfully completed renewal assessment of ISO 17025:2005 with the help of Global Manager Group. Global Manager Group has taken NABL Accreditation consultancy project as per ISO/IEC 17025 requirements and successfully completed all re-assessment work within given time frame. The NABL consultancy team of GMG has done this work and achieved recommendation after re-assessment audit done by NABL lead auditors. Global Manager Group has provided ISO/IEC 17025 Consultancy services from last 15 years for testing and calibration laboratories. Global Manager Group has implemented NABL accreditation based quality management system in the GSP Crop Science Unit-3, by training employee of all level, documentation preparation, internal auditing and providing necessary help with active participation till accreditation of the system. With final re-assessment audit was taken on 15th October, 2017, GMG has successfully completed this ISO 17025 Consultancy project for GSP Crop Science. GMG has helped in 4 – tier documentation preparation like ISO 17025 manual, NABL procedures, Standard Operating Procedures, Work instructions, Test report templates, audit checklists etc as part of consultancy. During this project, Global Manager Group has helped GSP Crop Science to understand all requirement of ISO/IEC 17025:2005 Certification. GSP Crop Science Private Ltd. is one of the leading manufacturer and exporter Pesticide Technical as well its formulations including Seed Treatment Chemicals. GSP continuously develops and introduces newly off patented A.I’s as well formulations to meet the requirements of the farmers/customers with their utmost satisfaction. GSP Crop Science Private Ltd. have a diversified group of talented people who discovers, develops, manufacture and market wide range crop protection products. Meghmani Industries Ltd., manufacturer of dyestuffs, pigment powders, dye intermediates and agrochemicals has successfully completed NABL accreditation consultancy for QC Laboratory of pesticide testing with the help of Global Manager Group. Meghmani Industries Ltd. is manufacturing pesticides at Unit – 2 and having testing laboratory, where Global Manager Group has completed NABL accreditation consultancy project within given time frame. The NABL auditors has audited the implemented system and documentation on 6th May 2017 as per ISO/IEC 17025:2005 standards requirements and recommended for NABL accreditation. Meghmani Industries Ltd has received NABL Certificates for pesticide testing lab on 20th July 2017. Global Manager Group is one of the leading organizations worldwide, which provides ISO/IEC 17025 Consultancy services from last 15 years for testing and calibration laboratories. Global Manager Group has implemented NABL accreditation based quality system in the QC Laboratory of Meghmani Industries Unit-2, by training employee of all level, documentation preparation, internal auditing and providing necessary help with active participation till accreditation of the system. In NABL documentation preparation like Quality manual, NABL procedures, Standard Operating Procedures, Work instructions, Test report templates, audit checklists etc are provided as part of consultancy. During this project, Global Manager Group has helped Meghmani Industries Ltd. to understand all requirement of ISO/IEC 17025 for testing laboratory. By completing this project, Meghmani became third pesticide testing laboratory that achieved NABL accreditation with help of Global Manager Group’s consultancy service. Meghmani Industries Ltd. was established in 1977 to manufacturer of dyestuffs, pigment powders, dye intermediates and agrochemicals. It has a sound environmental protection policy which includes environmental monitoring mechanisms like periodic environment audits by internationally reputed agencies. The Meghmani Industries Ltd is having huge infrastructure and engaged in manufacturing of Agrochemicals, synthetic organic dyes and optical brightening agents. MIL SEZ, the unit is 100% EOU and exporting their products throughout the globe. The company has its own in-house pesticides testing laboratory at unit-2. Dev Consultancy, a Material Testing Laboratory has successfully completed NABL accreditation as per ISO/IEC 17025 requirements with help of Global Manager Group. Dev Consultancy having testing laboratories, where Global Manager Group has taken NABL accreditation consultancy project and successfully completed it within given time frame. The NABL consultancy team of GMG has done this work for testing lab accreditation and achieved recommendation after assessment audit done by NABL lead auditors. Global Manager Group has so far provided ISO/IEC 17025 Consultancy in more than 50 calibration and testing laboratories and refineries worldwide. For this project our team has implemented NABL accreditation based quality system in the Dev Consultancy, by training all the level of employees and providing helps in documentation and guided them for construction material testing laboratory. The NABL documentation, internal auditing as well as necessary help with active participation to all employee of Dev Consultancy till the accreditation of the system has been provided by Global Manager Group team. 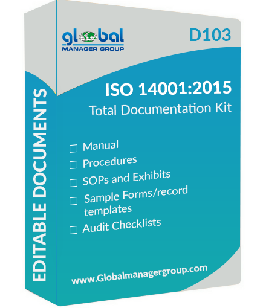 Such documents are prepared as per ISO/IEC 17025 guidelines like Quality manual, Quality procedure, Standard Operating Procedures, Work instruction, Test report template, audit checklists, etc. GMG has developed and implement work sheet to show as an evidence of implementation of test standard requirements which are provided as part of consultancy. GMG has been completed this project of NABL accreditation for Dev Consultancy on 12th May, 2017. By completing this project, Dev Consultancy becomes first soil and material testing laboratory in the Himmatnagar, Sabar Kantha district of Gujarat that has achieved NABL accreditation. Dev Consultancy is well equipped material testing laboratory to test engineering materials as per norms laid down by Indian Standard / International Standard. Dev Consultancy is a partnership firm and established in the February 2016 and now it is a unique professional organization. The Laboratory is engaged in the testing of the civil engineering materials. It has state of art technology equipments for the testing of soil and materials used in the infrastructure development and having adequate facilities for testing of all types of Civil Engineering Materials with full–fledged testing facility.